Ginny Vere Nicoll has done it again. Following the success of her four full length novels, she has now turned her hand to, reputedly, the most difficult branch of fiction: short stories. The seven main stories in Feel Good Tales take us from magical hills near Rome, to a life-changing passport queue, a haunted attic, an island off the east coast of Africa which ought to be heavenly, a mother-in- law who isn’t and to the beautiful Scottish Isle of Skye. Then, why not have a weird dream and send your daughter to a strange school to learn something of her own history? As if that isn’t enough the book ends with three magical tales for both adults and children, featuring Marmite; not the meaty spread which is adored or hated around the world in equal measure, but a brave, adventurous and utterly delightful wire-haired, little dachshund called, Marmite, loved by all. My dictionary defines ‘page turner’ as a book, story, etc., that is difficult to stop reading because it is so interesting. Feel Good Tales is just that. 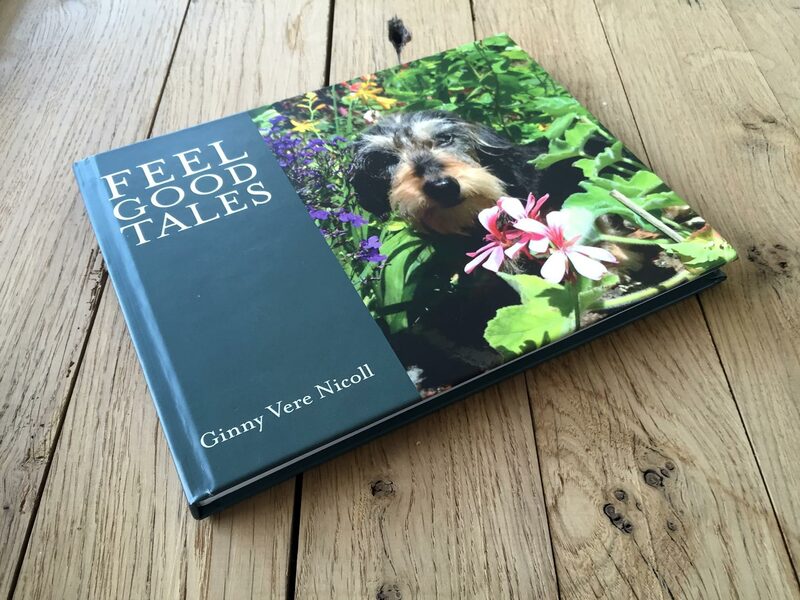 Feel Good Tales, published by Feel Good Books.